A couple of weeks ago I was privileged to attend the Los Angeles Mayor’s Prayer Breakfast. As soon as I arrived, I recognized the uniformed officers of The Salvation Army sitting at a nearby table. 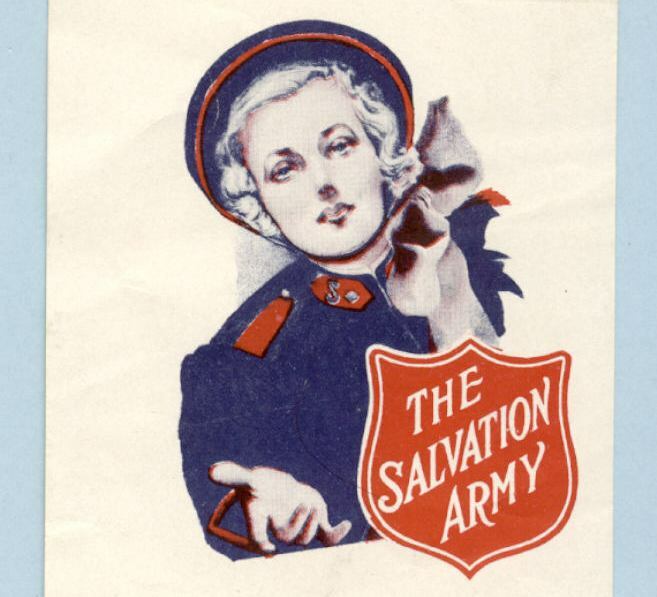 I made a beeline for them, as I had been searching for the complete lyrics to a Salvation Army song that I had heard often as a child. Paul and Vi Shergold were dear friends of my family, coming from The Salvation Army to attend our church. They would often sing solos or duets of Salvation Army tunes, and one of my favorites that Vi would sing was, All My Days and All My Hours. The Psalmist David penned a similar song: “One thing I ask of the Lord, this is what I seek: that I may dwell in the house of the Lord all the days of my life, to gaze upon the beauty of the Lord and to seek Him in His temple” (Psalm 27:4). You have it here, Karen. Your last two posts are much appreciated. This one gives me a jump-start to my next tasks of the day. God blesses us through you. So glad to hear that these posts are hitting their marks! Thank you for taking the time to submit such encouraging comments. Just discovered your blogs…I’ve enjoyed each one I read. Today June 13th) is my wedding anniversary..Married seventy years ago in Angelus Temple..officiating pastor Aimee Semple McPherson….. Elmer is in his heavenly home now, but we are forever together in our love for one another. Karen, you are a gift from God to the people you serve in His Name. I celebrate with you the joy of a year’s ministry at The Mid-Day service in TCOTW Prayer Chapel. May it be His will for you to have many more fruitful years there. I’m delighted to read your comments! It was a privilege to have known your husband – a wonderful man of God and His Word. And what an extraordinary life that you continue to live! I am honored to have followed you in ministry at the Thursday service. We are truly experiencing a visitation of God. May we “run the race” with as much grace and class, joy and strength, perseverance and wholeheartedness as you do! You are dearly loved and highly esteemed!